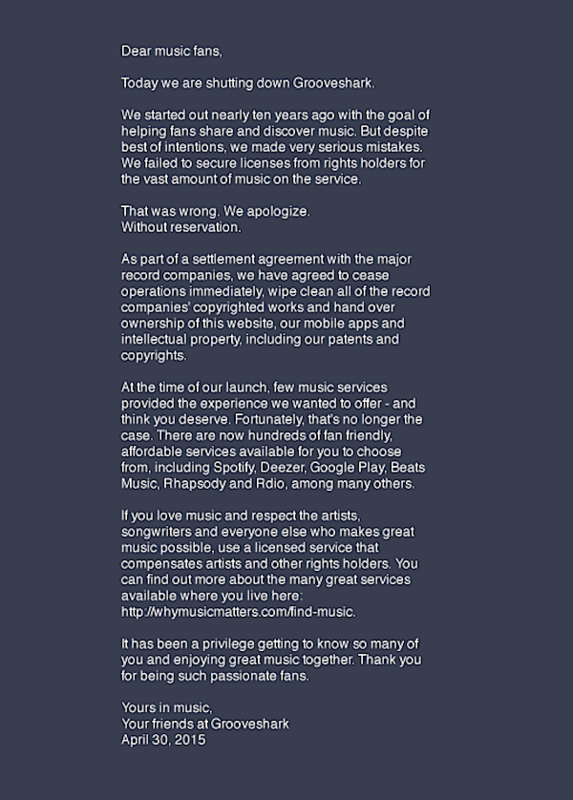 Music-sharing host Grooveshark has been interred. The writing on the wall came last week, when a judge ruled the site was guilty of copyright infringement and owed up to $736 million to songwriters and labels. Today, the site has officially gone dark. Universal Music Group spearheaded the attack when they declared “legal jihad” against Grooveshark, and a laundry list of willful piracy came soon after. “Please share as much music as possible from outside the office, and leave your computers on whenever you can. 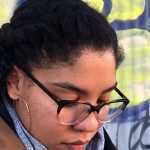 This initial content is what will help to get our network started—it’s very important that we all help out! If you have available hard drive space on your computer, I strongly encourage you to fill it with any music you can find. Download as many MP3’s as possible, and add them to the folders you’re sharing on Grooveshark. Today, the site is empty, save for a statement admitting culpability. Read that below, and R.I.P. 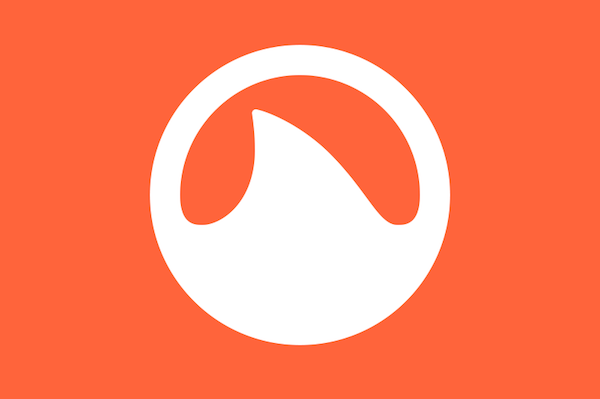 Grooveshark.